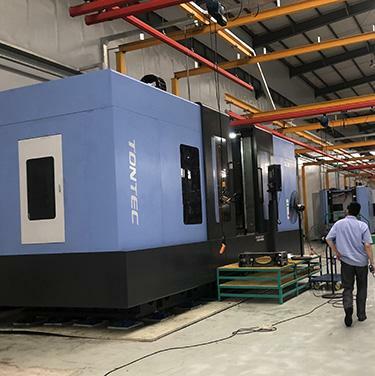 The machining center is designed for manufacturing automobile and locomotive parts with the compacted structure, high rigidity and high power of the spindle motor, which is applicable to be widely used in machining hard materials. 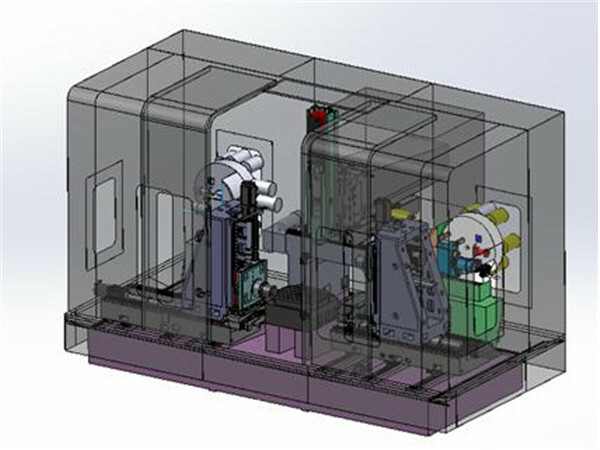 The realization of intelligent production means milling, boring, drilling and tapping in continuous process while parts are clamped on the table one time. 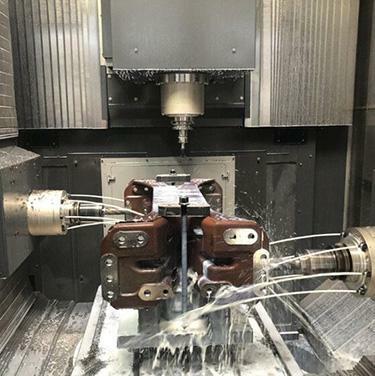 It features the shortened auxiliary time and the increased machining efficiency. 2）Every unit is equipped with independent tool-exchange system. 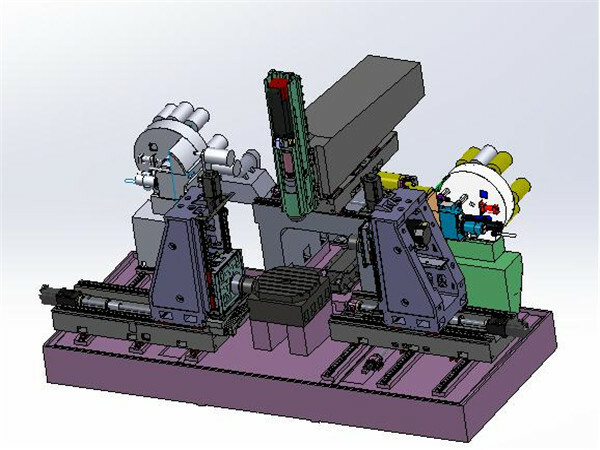 3）It facilitates the chip removal with post-position chip conveyor. 4）SIEMENS 840D SL control system is used. 5）Every spindle is installed with BT-50, ZF gear box and center hole water cooling. 1）Linear motion of X,Y,Z axis are driven by three spindles. 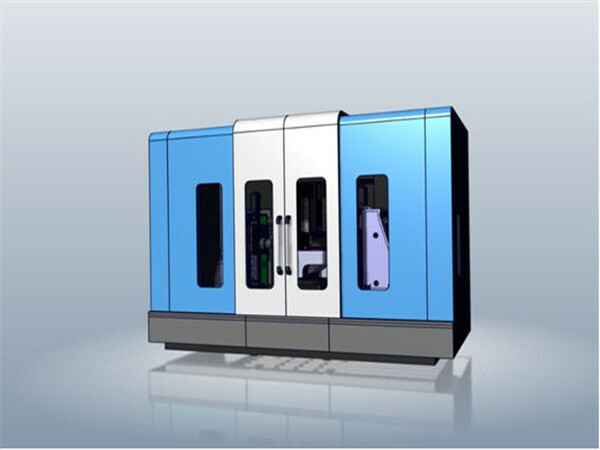 The integrated 3-axis machining is completed on the basis of the relation of the factors of workpieces. 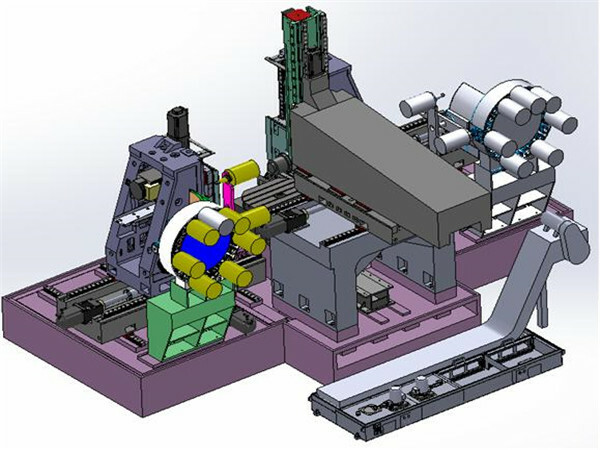 2）In both vertical units, X and Y are installed with closed-loop control linear scale to ensure the relative position accuracy of synchronous machining.